The Knack team on web applications, online databases, and beautifully designed products. Case management tools are great for tracking the information you need to work with a client. Additionally, they can help to streamline workflows from the first contact to case resolution. 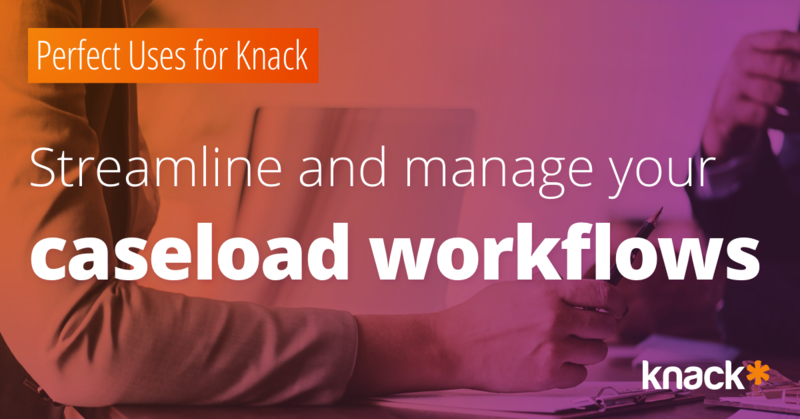 Knack has great features to help you stay on top of your high priority cases and get more out of your data. Planning and hosting events can be a logistical nightmare without the right tools. From managing speakers, agendas, guest lists, registrations, activities, and volunteers, thats a lot to keep track of! Needless to say, it is important to stay organized. Every event is different. Using a flexible platform like Knack means you can customize an event management solution to perfectly match your needs, without compromising on features. 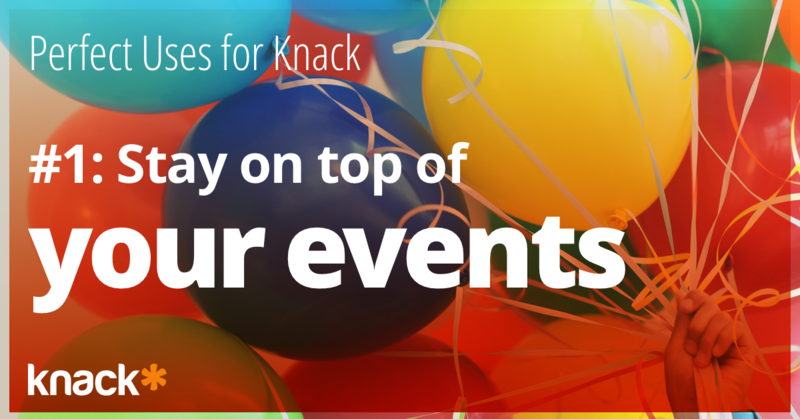 With Knack you can manage all your event related data in one place, keeping your event on track! We’re thrilled to announce an exciting new feature: Action Links! Action Links are a link type that you can add to tables, lists, maps, calendars, or details views. They allow a user to trigger specific actions behind the scenes by clicking a link on the view. We’re thrilled to announce an exciting and long-awaited Zapier integration! This release includes some major changes to make your apps even more powerful. Introducing the Knack Standard Theme! The Knack Standard theme is a new design theme which focuses on responsive and mobile performance. We’re excited to announce some recent product updates! Here at Knack we’re committed to continually improving in ways both big and small. The following are some new upgrades that may not be major, but we think they’re majorly helpful! Knack makes it possible for you to show summaries of your data by using a list or a table view. When a record has quite a few fields, you can add a link to direct users to another page. In these cases, it is also possible to use an image to link users to another page. Let’s take for example this real estate listings web app. Users can see summarized info about each property and can further click on the ‘view’ link to see more details about the property. Showing the ‘view’ link is great, however, it would be nice to click on the image to see more details. Here at Knack, we take the security of your data very seriously. To help secure data in both the frontend and backend aspects of apps built with Knack, we’re happy to announce the release of some new Security Features for those on a Pro, Corporate, Enterprise, HIPAA or GovCloud plan! We’re very excited to announce some upgrades to our e-commerce functionality! Accepting payments with your Knack app just got even easier. In the past, payments were submitted exclusively via checkout forms where users had to manually enter their payment information each time. 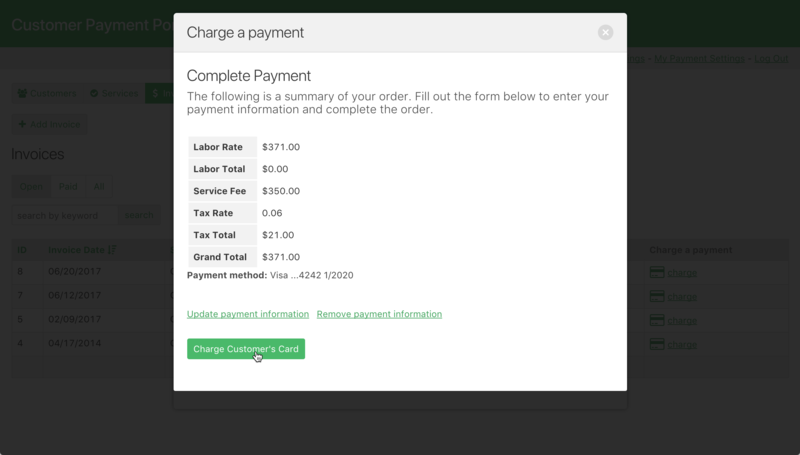 Now your app can save a user’s payment method, so future payments are quicker and simpler. E-commerce is a great way to set your app up to make donations, purchase tickets, or place orders. Now that user’s payment methods can be saved for future use, activities like online bill pay, submitting invoices, and call-in payment services are easier than ever. In Knack, adding a multiple choice or connection field to your object is a great way to categorize or connect your data. Users can choose from a dropdown menu of options and associate the record with a category or record in a connected object. For example, consider the following example. Multiple choice and connection fields make it possible for you to offer several options to the user. However, in some cases, the correct response is not always available. How can users add another option without needing to access the builder? Well, it just so happens we have a solution for allowing users, in the live app, to add new options from within the form!